Over the course of the last five weeks, we have seen what 5V5 competitive play can look like. Some matches have lasted 10 minutes, while others have gone all the way up to nearly 30 minutes; some that are highly competitive, sweaty games, and some that were painful to watch. Both EU and NA went through these five weeks attempting to showcase not only which region is best, but also which team is best. Many teams have mechanically strong players who are looking to form synergy and master their macro play. Other teams have proven the hard work that they have put in on the Rise since early January. Our power rankings have stayed relatively the same through the preseason, with the mid-pack fluctuating up and down. This week we saw a few changes upon a new team finally entering the top two position. Overall, these five weeks showed Vainglory esports fans a lot of great action. Teams also have work to do as they prepare for the official start of the Vainglory Premier League. Let’s break down week five’s power rankings! 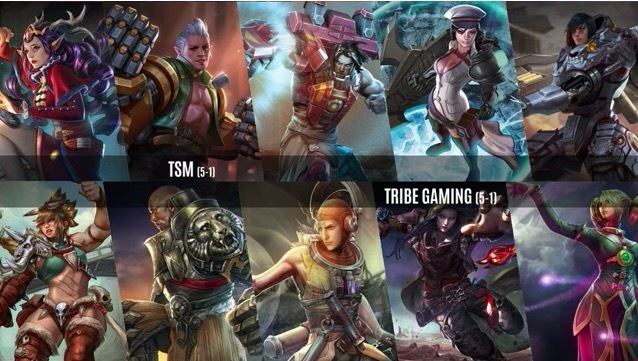 TSM has officially locked in the top spot with a huge win over Tribe Gaming this past week. Our power rankings have had them at number one for all five weeks and have considered them the strongest. Many fans and people who follow the scene closely have argued that Tribe is stronger simply because of the well known players. 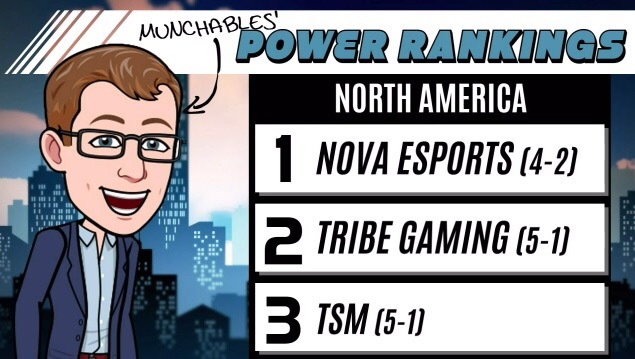 Even Munchables took an interesting route on his power rankings last weekend. I wonder how much of the VPL preseason he actually watched? While Nova has been looking strong, TSM was able to prove their worth and beat Tribe with relative ease. TSM drafted a four hero captain composition that they played to their win conditions. They used tons of utility and had TastyBacon’s favorite hero, weapon Ardan. Many were calling troll on the draft, but even daniel said that they practiced that comp a lot throughout their scrims. A lot of people disagreed with our power rankings last week as we kept Nova behind Tribe. Their main argument was that Nova had beaten them twice — once in the NACL, and once in the VPL. In week five, Nova was up against a strong Vision team and looked to tie Tribe’s record. 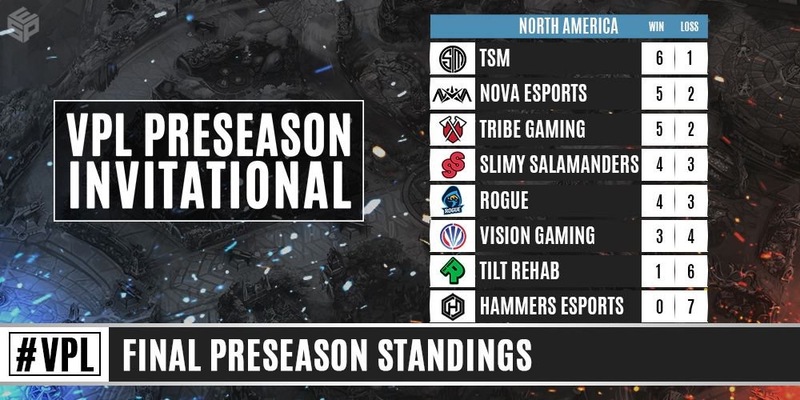 Nova was able to handle Vision and place themselves in second, right behind TSM. Nova is looking stronger and stronger with StartingAllOver, Truth, and Delphi coming together as a top team. Best of one series are tough to judge, so we will look for some intense series entering the VPL. Tribe was entering week five knowing that they had a tough match up ahead of them. They have been drafting pretty unconventional comps throughout the VPL but found themselves in an interesting spot when they saw TSM’s draft (which was so specific that Chuck opted not to play). Tribe locked up a lot of the strong power picks, including Samuel, Vox, and Celeste. The problem was that all of the captains were gone when it came time for them to pick one up, so gabevizzle was forced to play Lance, who seems to be not as effective as the other captains in Update 3.2. Tribe ended the five-week preseason 5-2, which overall is impressive. The team has a lot of hype around them, so they will continue to grind heading into the VPL to be the top team that fans expect them to be. Rogue vs. Slimy was a debated topic this week. They had a big win against TSM, which was impressive. Their three other loses showcased some inconsistencies that Rogue and other teams are trying to workout in the preseason. Additionally, their loss to Slimy Salamanders early on points to them being fifth, but that was a much different Slimy team. A big difference is that Rogue has been playing with the same roster and thus has been forming synergy throughout the five weeks. eVoL is rapidly improving in the middle lane, so he will be a player to watch heading into the first season of the VPL. Taking these factors into consideration, Rogue places fourth in our power rankings, just barely beating out Slimy. Making their way slightly back up the rankings is Slimy Salamanders. They were able to defeat Rogue in the head to head, which puts them in fourth for the VPL official standings. It’s a good thing we don’t have to agree with them! 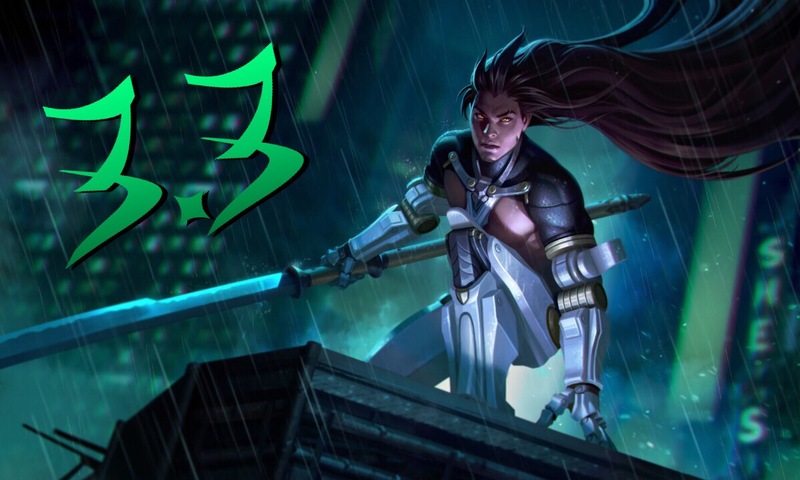 While Slimy lost three in a row, they were able to bounce back with the help of a few new players — esmei and Arkaik, formerly of Tilt Rehab, decided it was time to leave their old team behind and start fresh with IraqiZorro. What’s interesting is that MISCHE wasn’t playing this weekend either. It will be interesting who the starting five will actually be for season one of the VPL. Iraqi, XentoTek, and R3cKeD worked well with the two newcomers. Even though they beat a weak Hammers, they were able to end on a high note. They stay behind Rogue with Slimy not being able to truly showcase how this new team will play out. Vision is a team that worked their way all the way up to the fourth position over the course of the preseason. The team had a lot of high notes and surprised many within the scene. They were able to outplay some of the teams, ending higher than some expected. Vision dropped this past week to Nova — who ended up being the second rank team. 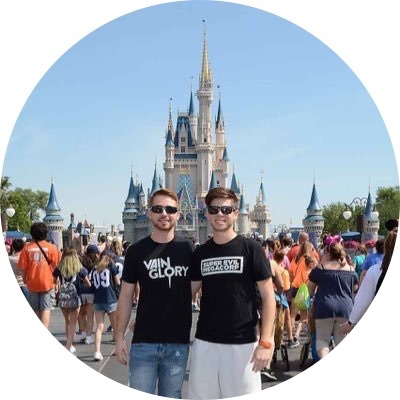 Vision should hold their head high, as they were a team that was put together after a lot of the original members joined TSM. We could see this team climb the rankings during season one of the VPL. Tilt Rehab was a team coming into the preseason with a lot of hype around them. They had been together scrimaging and playing as soon as 5V5 came out. They also had a few speed bumps with Jazville having to tend to life responsibilities. Through it all, the team was trying to find their stride during the first few weeks. They put up fights with every team despite having a few mistakes here and there that costed them the game. Then, this past week, Arkaik and esmei moved over to play with Slimy Salamanders. Tilt picked up Blanks and Fezzz as their replacements. They fell to Rogue during week five and even had an advantage at one point. Tilt will go into this break before the VPL starts looking to solidify the team. Hammers ending with zero wins is definitely disappointing for the team. A lot of people knew coming into the VPL that the team would struggle. In week five, Hammers was up against a newly formed Slimy Salamanders. Hammers fell as they were joined with Illest this week, and has had a few players subbing in-and-out over the last five weeks. Over the break, they will look toward finding the right team, as we will see more than these eight teams in the VPL. starboi knows his team has work to do, but still doesn’t enjoy the feeling of losing. Week five marks our last power rankings for the preseason! We will look ahead to the official start of the Vainglory Premier League around the beginning of June. As mentioned above, the VPL will have a different format. There hasn’t been many details released yet, but we will be sure to keep you up to date as information becomes more readily available. Until then, here is the graphic they showed on the stream over the weekend. Host of the Time For Rolling Esports Podcast. Graduate student. Tier 6 and proud.